Hiperos specializes in simplifying the complexities of third party logistics (3PL) management. They serve a wide range of industries including technology, pharmaceutical, financial, insurance and more around the globe. Founded in 2007, Hiperos is headquartered in Massachusetts. Providing 3PM as Software-as-a-Service (SaaS), Hiperos helps companies maximize profits by reaping the benefits of using third parties. 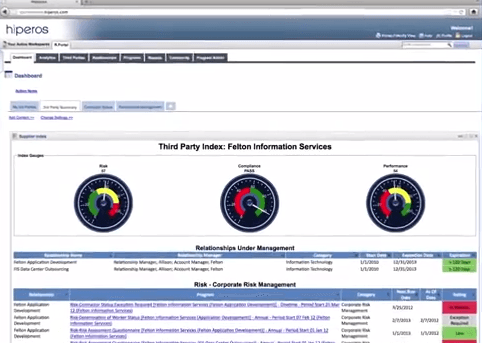 Since the company is still responsible for third parties, Hiperos’ risk management software solution helps minimize the possibility of penalties or negative customer impact. One leading bank, responsible for the procurement of over $4 billion worth of assets, chose Hiperos for their 3rd party supply chain and risk management software needs. 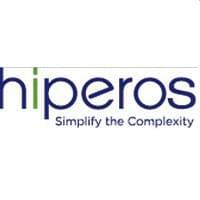 The client’s case study showed that Hiperos’ solution resulted in streamlined communications for 1,000+ users, greater visibility of risk profiles, and increased efficiency due to the consolidated assessment data. Processing new applications, correctly on-boarding vendors, completing due diligence and other necessary tasks of managing vendors throughout their life-cycle are mandatory functions of successful risk management and procurement strategy. 3PM simplifies these processes. Providing a comprehensive view of third parties across many processes, this third party logistics (3PL) and supply chain management software is the industry’s first intelligent software-as-a-service solution for third-party management. It helps businesses to reduce their outstanding processing days and number of staff needed to manage growing work volume. It provides an almost immediate return on investment by delivering automation for workflow and takes the guess work out of assigning tasks. This state-of-the-art 3PL supply chain management software assesses the risk, monitors compliance and measures performance. For businesses that work with a number of vendors, this supply chain management software is critical to a successful risk management and procurement strategy. Learn everything you need to know about Hiperos 3PM. Our experts will reach out to you shortly.